I think this was somewhere in/near Asheville, NC. 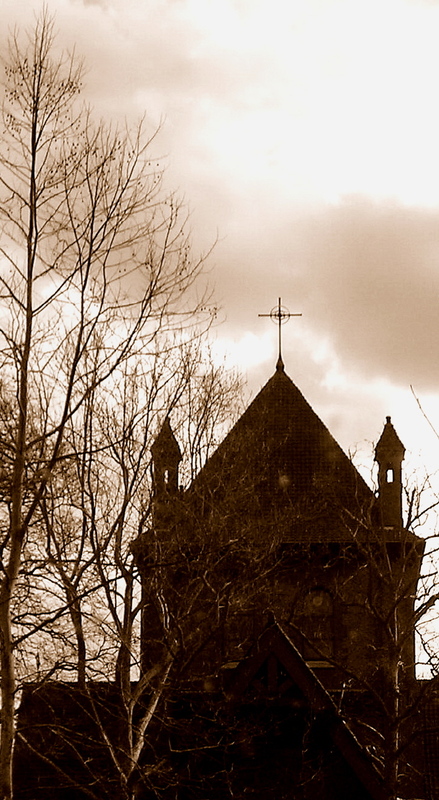 It was a gorgeous spring day, but the sepia tone gives the church a healthy dose of “creepy”, which I like. This entry was posted on August 12, 2010 by michellestodden. It was filed under Photography and was tagged with church, Photography. © Michelle Stodden and Stodden Snapshots, 2010-2013. Unauthorized use and/or duplication of this material without express and written permission from this blog’s author and/or owner is strictly prohibited. Excerpts and links may be used, provided that full and clear credit is given to Michelle Stodden and Stodden Snapshots with appropriate and specific direction to the original content.